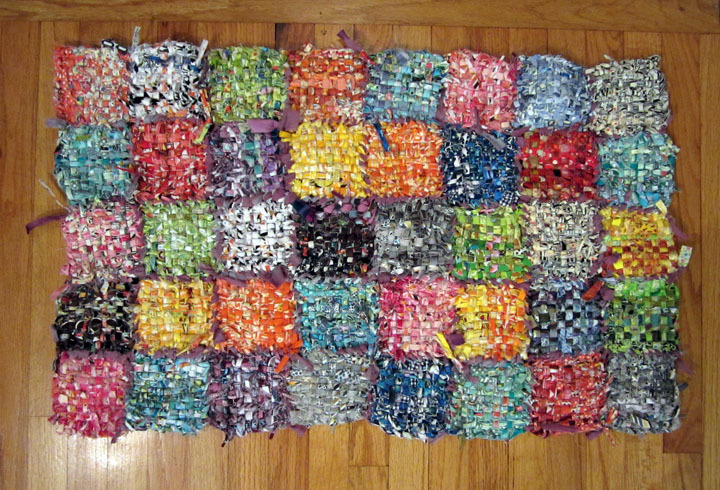 Blotch and Thrum: Rag Rug! I got scraps from Brenda at Pink Castle Fabrics (and if you want some, too, just ask her! She has claimed to have boxes of them) and the loom I used is one from Craftsanity. I used the nine peg coaster loom. I sorted the scraps by color before starting, because I wanted discreet blocks of color, but as I ran out of fabric, there started to be blocks of two or more colors. And doesn't it look amazing! I was working on it, as I said, in meetings and at Fiber Expo at the Black Sheep booth, and I always get compliments and questions. 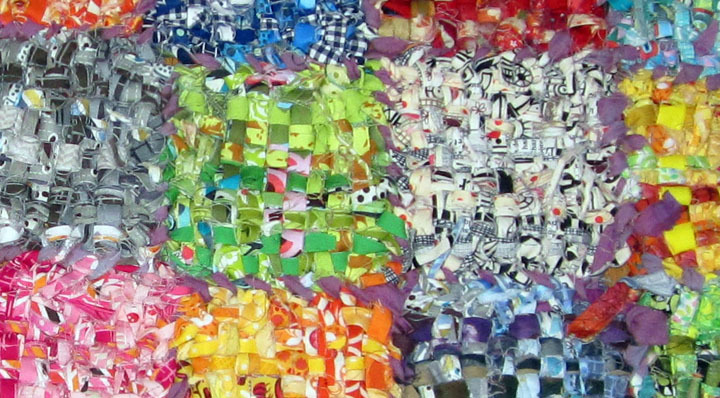 The main question is how much fabric do you need to make a square? And the answer is, that even after making 40 of them, I have no idea.